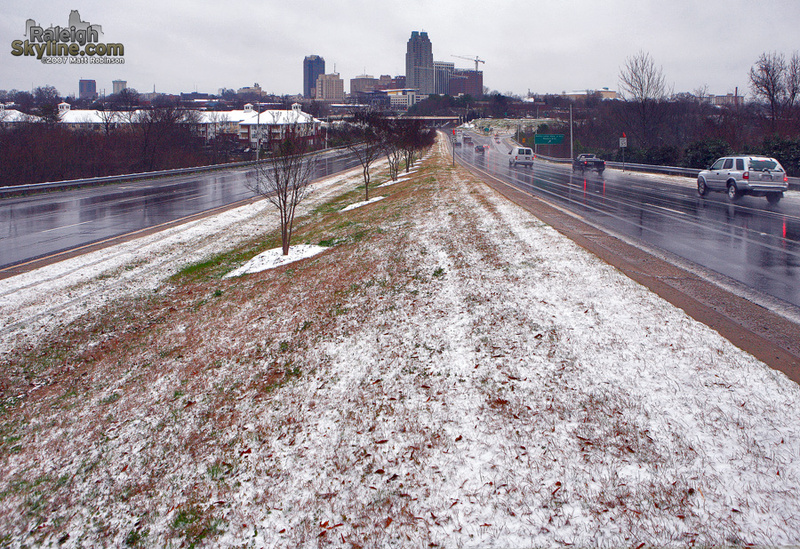 Raleigh had its first snow event of the winter on January 18, 2007 (coincidentally almost two years since the snow disaster). I was out shooting video and grabbed a few shots to post here. 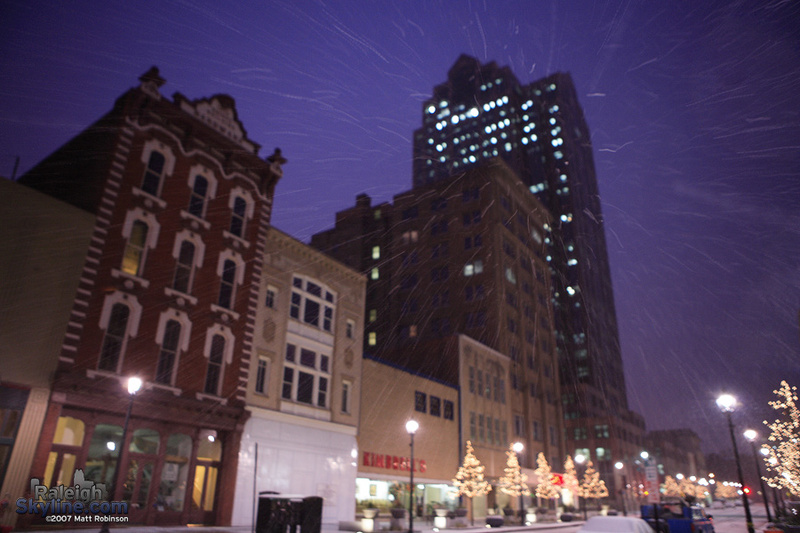 The snow accumulation was short lived at precipitation changed over to rain by late morning. 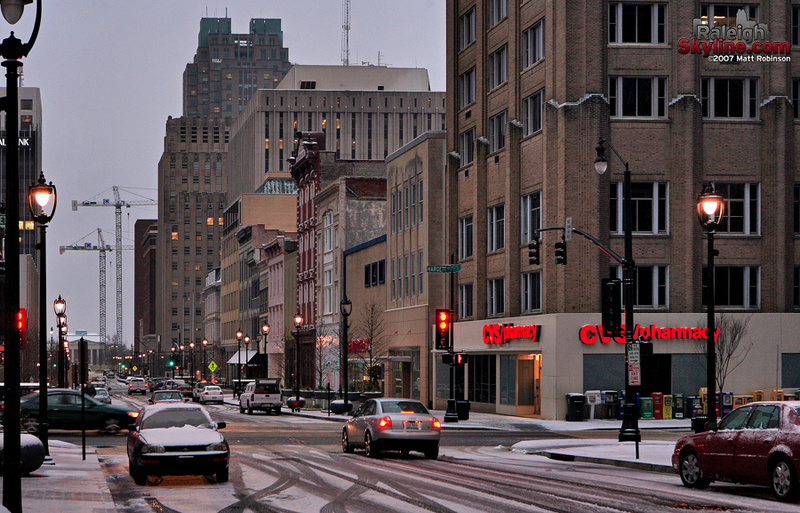 Snow lightly covers cars, sidewalks and Fayetteville Street in Downtown Raleigh. The snow fell moderately just before sunrise. 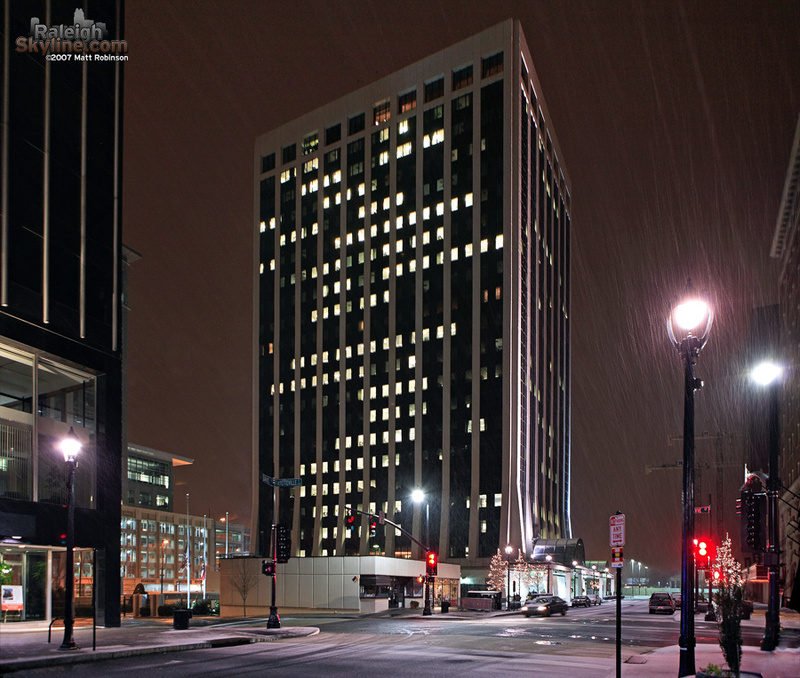 Snow falls in front of One Progress Plaza. The classic view with snow. 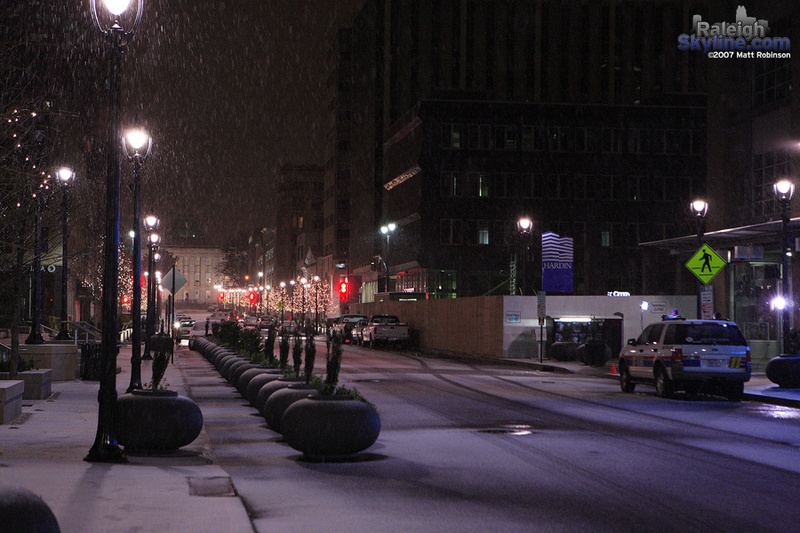 Predawn Fayetteville Street and snow. 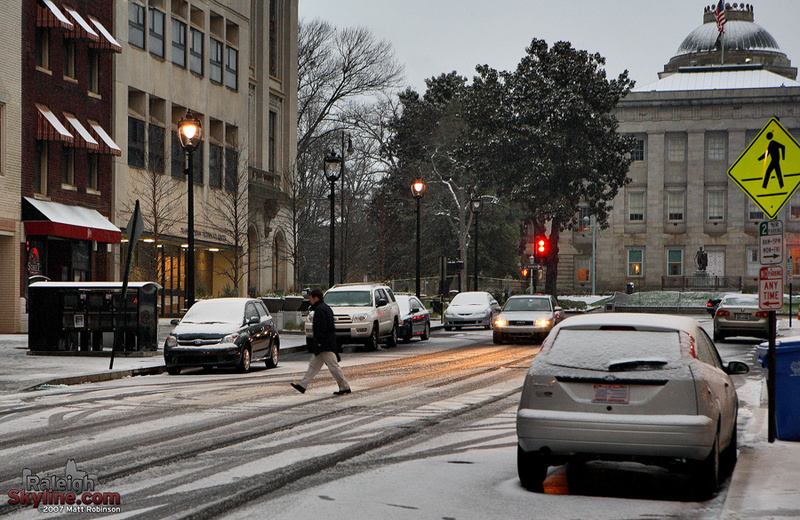 Snow rests on the North Carolina State Capitol dome as a man crosses the street. 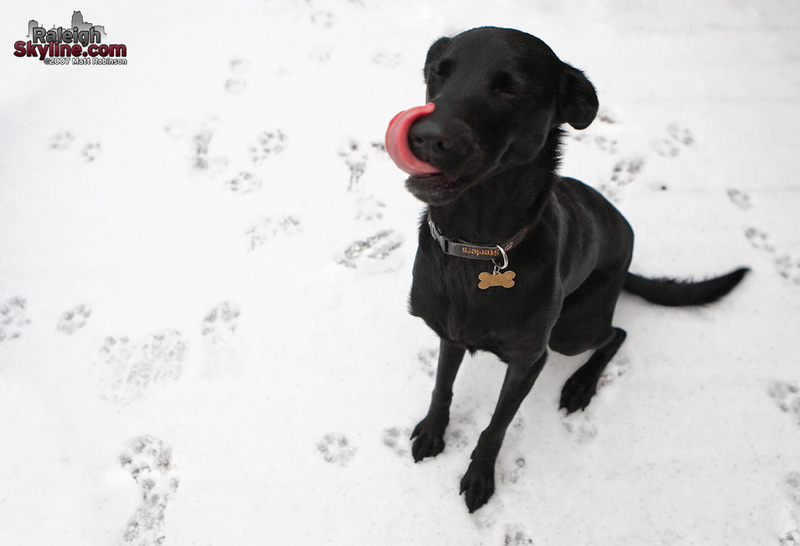 My dog Beau gets a taste of her first Raleigh snowfall.